Although the wedding videography business began from an urge to challenge myself creatively, it’s evolved into one of my passions and endures as result of my romantic optimism. Each time I film a wedding, I re-live parts of my own wedding day. 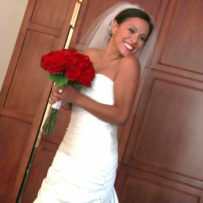 Our job as your videographer is to capture the moments and emotions of your special day. In addition to weddings and civil unions, we can provide coverage for your special party or event. Whether it’s a Bar Mitzvah or Bat Mitzvah, anniversary, or party, we can assist you in crafting a unique and timeless keepsake. Minuet will never try to “hard” sell you on packages and services. We believe in delivering a quality product while providing exceptional service with as little hassle as possible. Most of our clients are referrals from other clients. That level of satisfaction is the biggest compliment we can receive. Selecting and hiring a videographer doesn’t need to be a challenging or difficult process. Our goal is to provide you with a quality video without the hassle of going through a confusing or high pressure sales pitch. Your investment will pay off down the road through your smiles, laughter, and joy as you re-live the experience over and over again. Are you on a tight budget? Packages can be adjusted to suit a budget. Please inquire before turning to a “budget” videographer. Videography is more than just showing up to an event and hitting the record button on a camera. It’s a craft that centers around the art of storytelling. Minuet prides itself on capturing and retelling your story. So you’ve looked at our samples and you like our style. Now what? Let’s talk! Call us, email us, or we can do it the old fashioned way and meet up. It’s up to you! We’ll even treat you to a warm cup of your favorite caffeinated beverage. 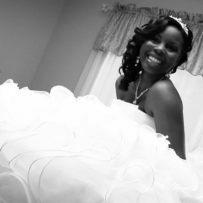 We take pride in capturing, preserving and celebrating your life's special moments.